start making changes today at TRUFITNESS. Fill out the form to the right for your Friends & Family pass! TRUFITNESS is locally owned and operated and has two distinct fitness locations, both operating 24 hours a day for your convenience. We have more than 25 years of combined experience and focus on personal training, as well as youth fitness and small group training. Our mission is to provide family-friendly fitness facilities, with friendly and professional staff, quality equipment and superb service. We want to earn your business everyday so that you bring your friends & family, and together, we build a community of health and fitness enthusiasts. LIFE IS A JOURNEY, NOT A DESTINATION...RIGHT? At TruFitness, we think health & fitness is a journey that shouldn't be taken for granted. 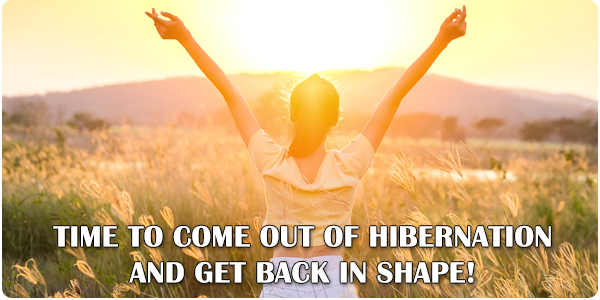 Our philosophy is simple: Take care of your body, eat a clean diet based on non-processed, quality food that you can afford and enjoy, and of course, EXERCISE! 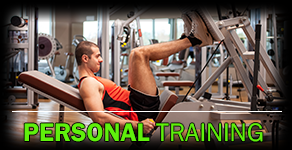 Begin your personal training with a qualified professional from TRUFITNESS, North Georgia’s premier fitness center. We also offer small group fitness sessions and other services. 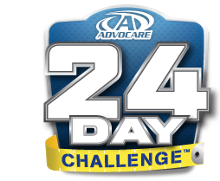 Kick start your health and wellness with Advocare's 24 Day Challenge or compliment your exercise routine with their Elite line. There is something for everyone to help you feel better everyday. For your convenience, we provide three gym locations to serve you. 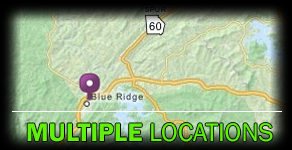 Contact us in Blue Ridge or Ball Ground to begin your fitness journey today!